This campaign is focused on constructing Phase 1 of our new campus. We're thrilled to announce that construction has started on Phase 1 of Bright School! This building will house 8 classrooms. The building will be Bright School's first permanent home, and is much awaited by children, parents, and teachers. This facility will attract more than 1,000 visitors each year from around the world. It is one of two schools in Rwanda that meet our high standards for modern, engaging education. 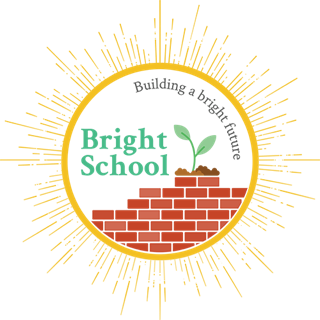 Scroll down to read more about the Bright School project. One remaining requirement that we are now raising funds for is a perimeter fence in order to keep children away from the road on which the school is located. Please consider donating to the safety of the children as well as the privacy of the school. These two objectives are of primary importance to us as we look forward to relocating our students to their new classrooms in the new building very soon. We are also raising funds to build toilets for the school facility. The cost of these projects are $3,500 each. TEACH Rwanda now operates four bustling preschool classes as well as Primary 1 & 2 and 3 (first through third grades) at Bright School. Children from all walks of life attend, from the wealthy to the most vulnerable. Children read books, write original stories in their journals, solve math problems when they build with blocks, and discover scientific principles when they play in sand and water. 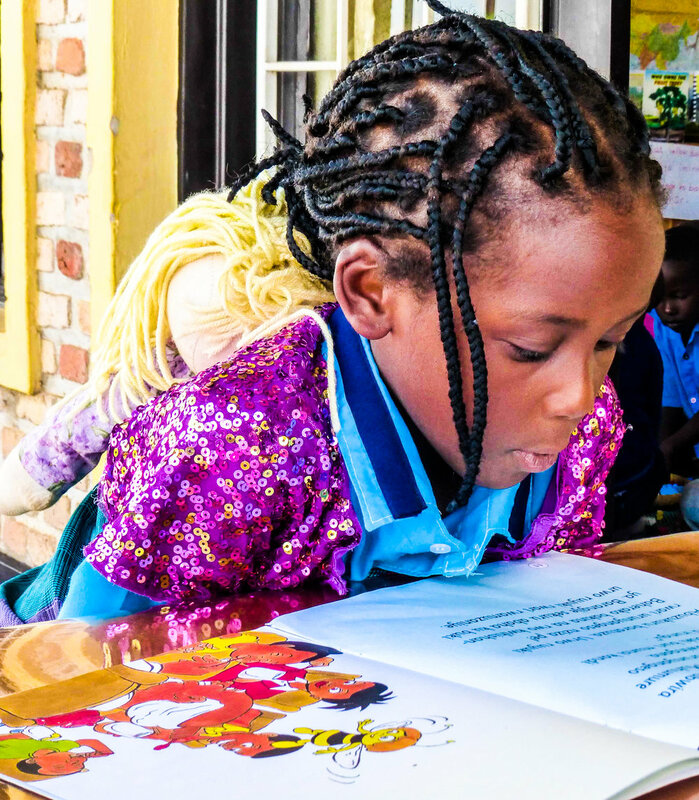 Education officials and organizations are amazed to see children at Bright write stories at an age when most children in Rwanda are still learning to spell their names. With the new building, we will immediately be able to serve 80 children in four preschool classes (morning and afternoon), 22 child in P1, 22 children in P2, 44 children in P3 (two classes, at current enrollment), and 22 children in P4. Latest photo - taken August 4th! Roof going on soon! This video was prepared in the early stages of building Bright School’s permanent home. 1. Download the Donation form. Make checks payable to TEACH Rwanda. Set up your automatic deposit to TEACH Rwanda’s account at Embassy Bank for the Lehigh Valley. Contact teachrwanda.treasurer@gmail.com for details. Welcome to the future of Rwandan education. We're changing the culture of education in Rwanda by affirming and encouraging genuine understanding through kind, responsive, well-informed, modern teaching practices. 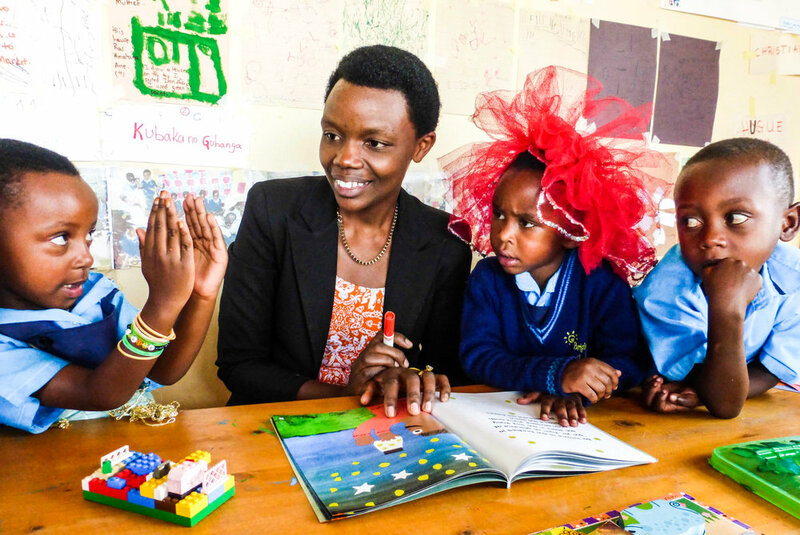 The Determine a Future Campaign was created to support teacher education and children's enrichment in Rwanda. The launch of this campaign is an opportunity for children, teachers, and families across the world, as well as at home. 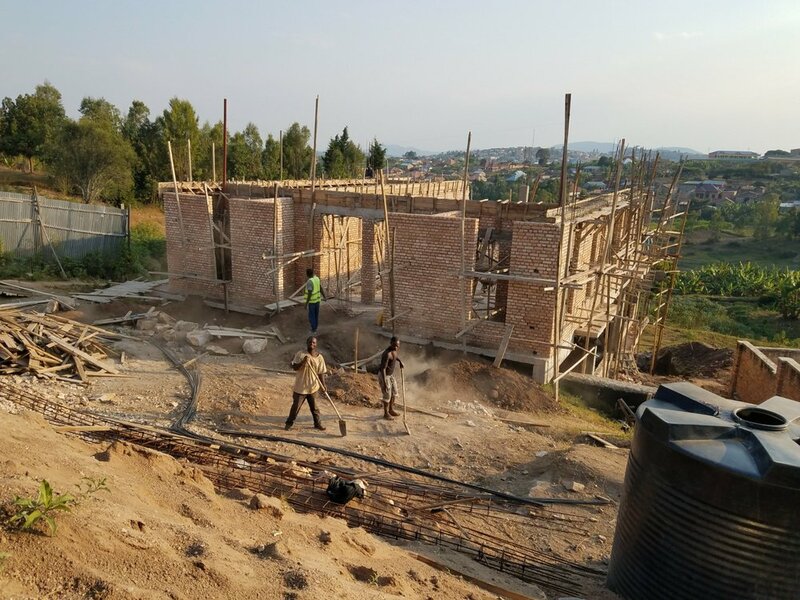 By getting involved, you're supporting a higher educational standard and making a transformative difference in Rwanda. Scroll down to get involved. More than 60% of the families of children in Bright School are unable to pay their children's school fees. A scholarship fund, Fund a Future, has been established to pay part or all of these fees. Some parents do volunteer work as well to ensure their children get a high-quality education. 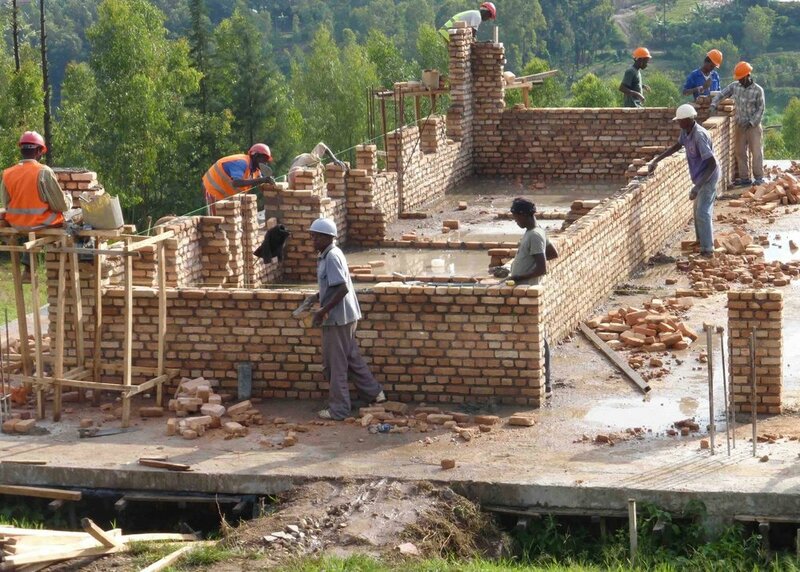 Fund a Future is supported solely by donors to TEACH Rwanda. In Kigabiro and Harmony Schools, parents who cannot pay withdraw their children. Consequently, many children fend for themselves on the street and are ill-prepared to enter primary school, so their risk for dropping out in early primary is high. $125 supports a preschool student for one year. $175 supports a primary student for one year. Teachers at Bright School are paid about $90 to $150 a month, plus health insurance and retirement benefits. These salaries are at the low end of salaries paid in Muhanga. We would like to pay competitive salaries that reflect our teachers' advanced skills and knowledge, experience and desire to learn more, dedication to their professional work, and that can reasonably support a family. Inflation in Rwanda is eroding our teachers' ability to even purchase food for themselves. Most live in small, rented rooms. Only one teacher has a bicycle for transportation, the others all walk to school. We also rely on volunteers to provide support for children with differing abilities, music, French, English, work as substitutes, and engage in many other roles. $200 pays a teacher (with benefits!) for one month. $400 pays a teacher (with benefits!) for two months. $2,400 pays a teacher (with benefits!) for one year. All of the vulnerable children at Bright School are food insecure. Many children in Kigabiro and Harmony schools are also undernourished. These children eat one meal a day if they are lucky. Some collect glass on the way home from school. They sell the glass to get money to buy something to eat. Enriched porridge is a traditional form of feeding hungry children, and in some cases this porridge at school is the ONLY food children get all day. Growth--physical and mental--is stunted when children do not eat well, so stunting is common in our schools. Our children are VERY small for their age. Without adequate nutrition, children are listless and in pain--not conducive to learning! $40 feeds a class (20 students) for one month. $80 feeds a class (20 students) for two months. $480 feeds a class (20 students) for one year. TEACH Rwanda furnishes classrooms with child-size tables and benches that invite collaboration and active, engaged learning. Low, open shelves are provided so that learning materials can be displayed for children to choose and return items when they are finished. We also supply book display shelves for classrooms so children can see the covers of the books they choose. Mats are placed on the floor for children to read, build with blocks, listen to stories, and work in small groups. As children get older, the size of the tables and benches increases to fit the children. Classrooms are inviting and encourage children to cooperate, be responsible, and scaffold their knowledge in meaningful ways. All furniture is made in Rwanda by local carpenters. $45 provides a small table. $75 provides a large table or a book display rack. $110 provides shelves for learning materials. $10 provides a doll or sidewalk chalk. $15 provides a picture book. $225 provides a set of blocks.